The Ski Runs at North Heavenly Valley, (between the tall antannas), above South Lake Tahoe, in the Sierra Nevada Mountains are the background. This is not a Big Gun station, nor is it even a Little Gun station, It's more like Field Day, that happens all year round, and has provided me with an abundant opportunity to enjoy Amateur Radio. "A little station that is a lot of fun, is way better than a little station that is no fun!" Learning about station building and contest operating has been fun for me. There are so many challenges to be addressed in building a station that will provide the capabilities you desire for maximizing your enjoyment, and so many different ways to deal with them. The things here are just what one guy did with what was available, and is subject to continuous change. Maybe some of the stuff on these pages will give someone else, with little station constraints, an idea or two that will make their radio time more fun. If you have an idea on how to make what you see here more fun, send it along. These aren't really towers, but they're small ! 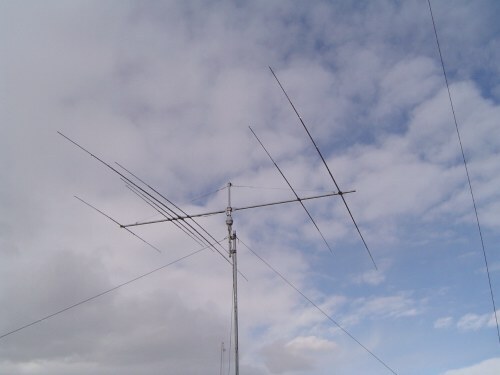 Antennas - TH7DX Beam 80 Inverted "L"
Tower #3 - Ya Right! You gotta be kiddin' me. 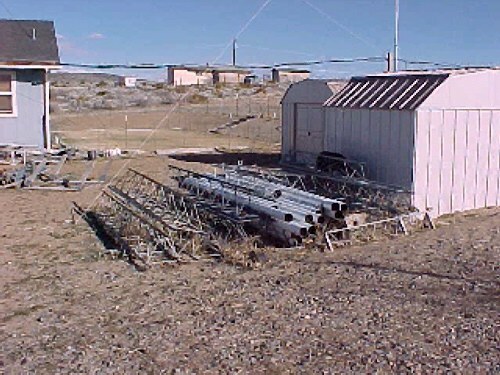 This is an ex-KT34XA boom that was extended (the rest of the antenna is in one of the piles). It was the first antenna support put up at the new QTH. It is attached to the eaves of the garage at about 10' and guyed with 1/4" dacron rope at the 30' level. The wire antennas at the top are part of the guy supports. It looks scary, but has seen several 80-90 mph storms. 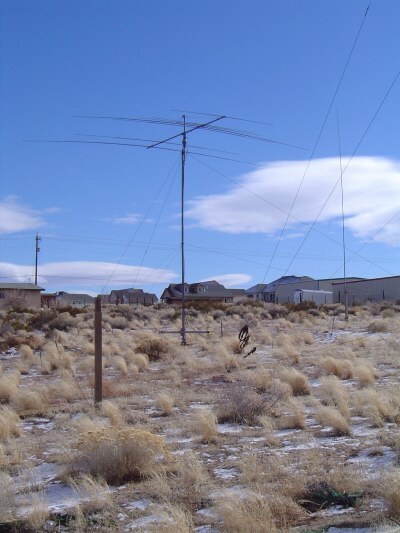 It was a real hoot to put up by myself on a cold windy day before CQWW '95. It's not very straight anymore, one day the neighbors horse got out and ran into one of the guys and almost brought it down. We took it down in 2001 and tried to straighten it. It is what it is! Still suitable for holding some wires. I get a headache thinking about all of the "dumb" antennas that have been hung off this mast. Gotta have something to hang one off of before doing it! It turns out that none of them were particularly dumb, they worked lots of stations, and were way more useful than not having anything there. There was a day where it held every antenna, then it carried every antenna connected to R2. Having a second radio on-line with anything to connect it to is better than nothing! Figuring out where to put things is an entertaining exercise. 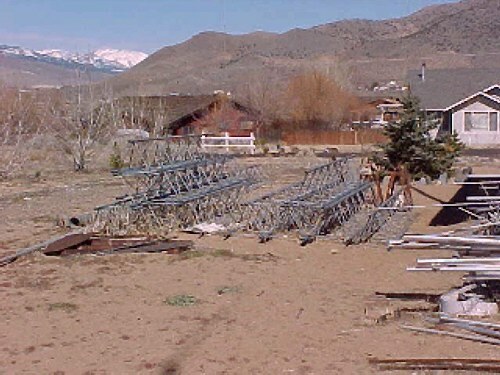 In 2001, Nevada passed AB61, which incorporated PRB-1 into state law, requiring all local governing bodies to revisit antenna ordinances. My neighbor approached the County to get a permit to put up a crankup tower and was told that anything over 35 feet in height was "not allowed." He pointed out the new state law and that got things moving. We went to a planning commission meeting and presented our case for "resonable accomodation" and asked the commission to reject the new proposed ordinance. That was well received, and the commission sent the matter back to the staff to get with the local hams and come up with something new. We had a meeting and tried to convince the staff to draft an ordinance that would allow a 72' tower with antennas on top of it. They couldn't get past the 75' total height examples they had found in other ARRL related cases, so that's what we ended up getting. The current ordinance has a very unusual clause in it that notifies all adjacent neighbors of the permit application, giving them a chance to oppose the issuance of the tower permit. Then, they have to have a hearing before the planning commission so everyone can argue about it. I don't know that it's ever actually happened yet. It's not a particularly intelligent ordinance, but better than what we had, and better than a poke in the eye with a sharp stick. I learned something very interesting during this process. It turns out that the County has hired some Certified Professional Planners. These people all come from the big city, and the only thing they know about is how to make a city bigger, more crowded, more regulated, and more undesireable to live in. They have absolutely no idea that some people moved away from the city to a rural area to get away from that mess! They look at you like you have two heads if you suggest that you do not want them controlling every aspect of your life. They think that everyone was born to live in a nice neat little apartment building and have "them" take care of everything for you. It is truely a frightful situation. It is encouraging to think that I might get to have a real tower or two....one of these days. You may have noticed all the towers and antennas are painted. I used Rust-Oleum Gray Primer #1980. It's a dull blue/gray and does a good job of making things stealthier. I haven't had one complaint in the last 5 years. All that pvc pipe, plus some, is now in the ground. The two saw horses in the right picture are laying down because I put them that way, didn't take too long for me to figure out that within a week, the wind would do it for me. This is a pretty old photo, you can see the overhead cables running out back at eaves height. That stuff is now in all that pvc pipe. In the upper right is one of my many temporary antenna experiments. That was a 24' mast, one of the guys is the white line running down to the stake near the tower pile. 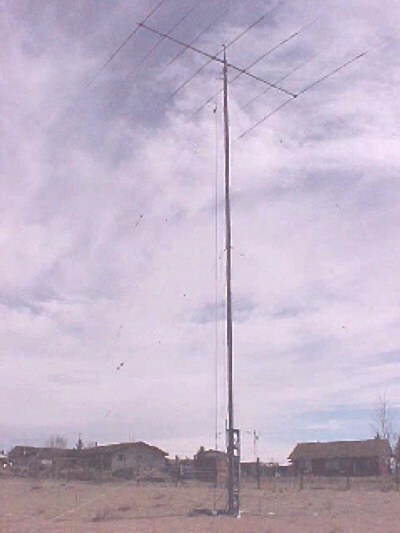 That mast held a 10M dipole, and later was put up to 30' with a triband dipole that rotated on the Ham III rotator that now turns the C3. Worked great, compared to the previous triband inverted vee I had up on the 45' mast for the second radio. There aren't enough antennas, but they're not very big ! 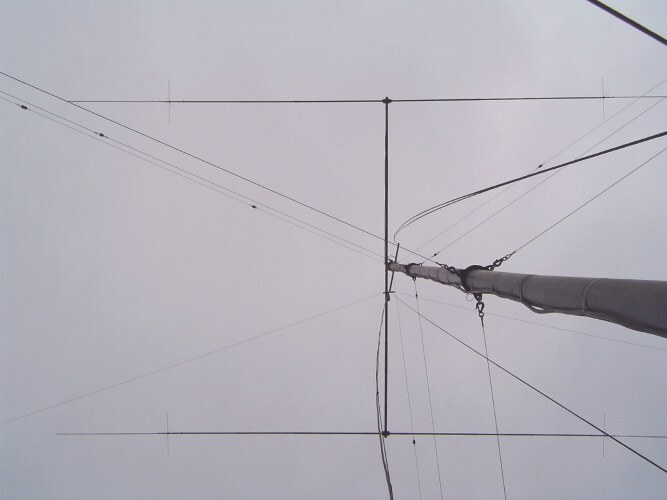 Triband beam on Tower #1 at 45', turned by a T2X rotator. 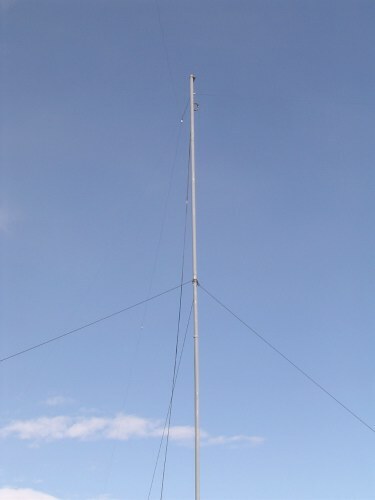 Triband beam mounted on a 24' length of 3" Dia boom tubing, turned by a Ham III rotator. 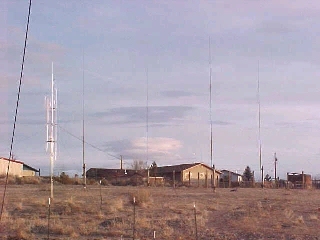 These antennas are on Tower #2 which has been extended to 55'. A Ham III rotator turns the beam. 4 full size aluminum tubing elements using a Comtek hybrid system, with 240 radials. 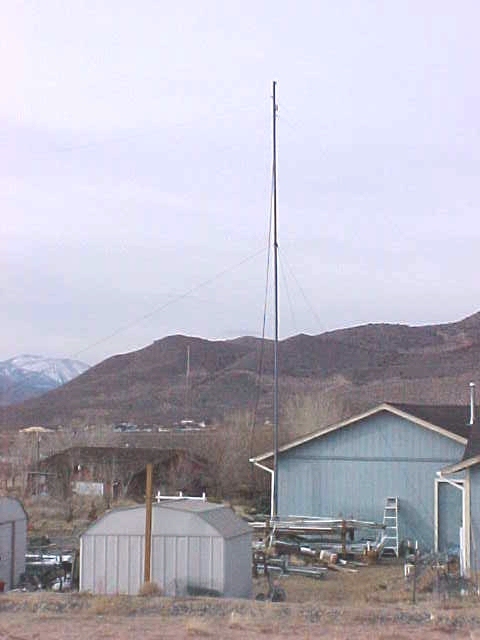 Tower #1 holds up an 80M Inverted L. It has 60 radials which are tied into the 40M 4 Square ground plane. This antenna is hanging from the 45' mast near the garage. The balun and coax are tie wrapped to the halyard to support their weight. 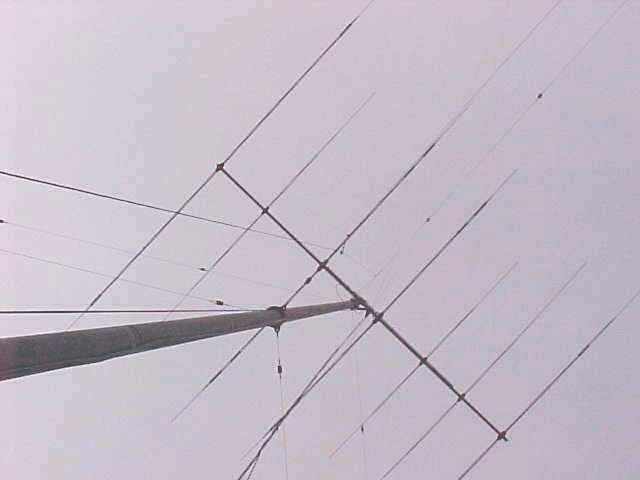 Three vertical dipoles on a common feed point. 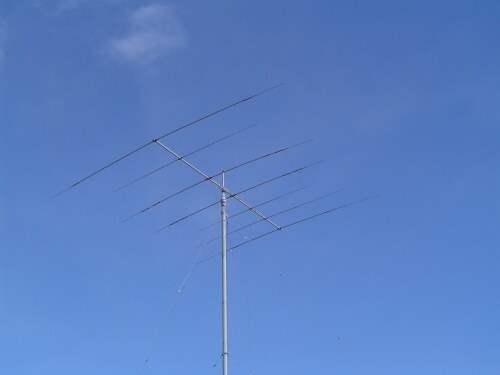 It is just another "dumb" antenna with a purpose, to allow me to hear stuff that comes in from directions that are not favored by the triband beam patterns. Everything here can be handled by the designated station maintenance crew (me)! At least, that way it gets done the way I think it should be done (right or wrong). Thanks to Tom, K5RC & Midge, K7AFO, who came down twice and helped me with a couple of the things that are really not much fun done on your own. And, my "Elmer", W6KUT (Dad), who made two trips (Summer 2000), to spend a week each time to grovel in the dirt with me, transplanting one stupid tower, and putting up another, lot's of dirt wrestling and preparing the anchors (thanks to Patrick, WX7M, for finding them and getting them ready), then wrestling hundreds of feet of coax thru pipes in the hand dug trenches, and sitting on the porch, sipping a "tall one" to help me figure out how to think about it. He's only 83, and is still my inspiration! If I ever grow up, I want to be like him. 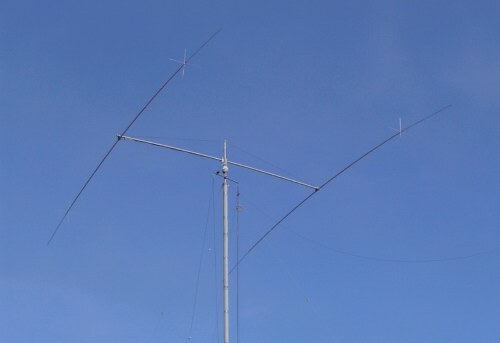 Aside from never being able to have enough of them, that are big enough in the right place on the planet (we all knew that)........"You surely can't work them on the antenna you don't have", and any antenna that gives me a capability to put q's in the log, that I didn't have before, is a GREAT ANTENNA! And, well worth the effort to figure out how to fit it in and make it easily accessible at the operating position. Its important to make everything interface at the op position to accomodate the guy that turns the knobs (I know that guy pretty well). Antennas are not the only thing that create improved scores. The operator is still pretty important, and I am not yet good enough to blame everything on my antennas! Having more antenna options, no matter how "dumb" they are, allows me to work on improving my operating skills. That ends up being just as much fun as figuring out how to get the antennas there in the first place....it's a win - win situation! I finally figured this out, after trying some real "dumb" antennas, and quit getting all fetched up over what I couldn't do, and started thinking about what I could do! Example: In one contest, I was running JA's on 15M with the TH7 (only beam at the time), EU was also open into the evening, but not productive enough to point the TH7 there. I had a 10/15/20 inverted vee hung at ~35' off the mast by the garage. I could just tell when an EU would call on the TH7, switching to the vee, the guy would jump up to S3-S7and go into the log. I worked 30-40 EU's each evening with that crummy antenna. I used it a lot on all 3 bands that weekend. It probably worked 200+ q's. What's so dumb about that? Without it, I would have either tried to ignore the EU's, or struggled at trying to work them, thrashing the TH7's rotator, and lowering my rate into JA. That sounds like a lose - lose proposition. I have lot's of similar experiences in the last several years with a variety of experiments. They all lead me to the same conclusion. There is no truly "dumb" antenna, if it increases capability, it's more a matter of sorting out the differences between what's "dumb" and what's "dumber." 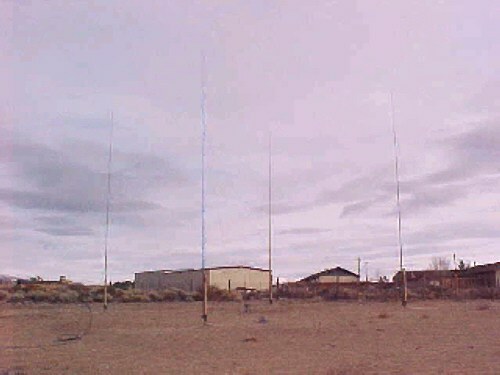 "Dumber" screws up the few "dumb" antennas that are working, and no one wants to go there!. 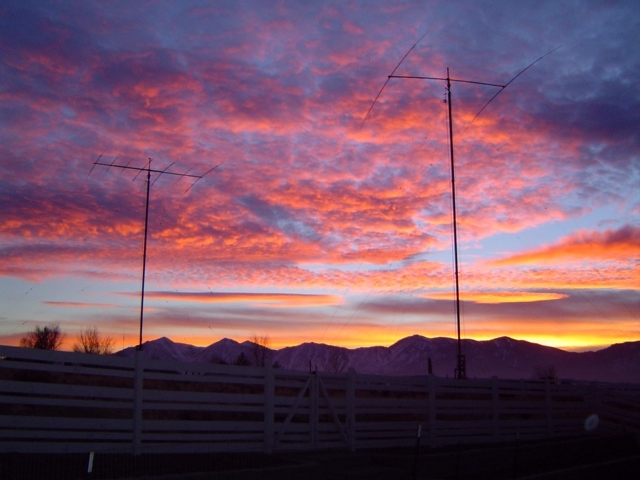 Antennas are cool! They are fun to play with and I encourage everyone to try to "think outside the box" and see if they can't put up some "dumb" antennas to use in enhancing their capabilities and add more fun factor to their operations.